A former chief of staff for U.S. Rep Rosa DeLauro was found dead in a car fire in Washington, DC this morning, according to reports. The body of Ashley Turton, 37, was found inside a car that was on fire in a rowhouse residential parking garage the 800 block of A Street SE on Capitol Hill. 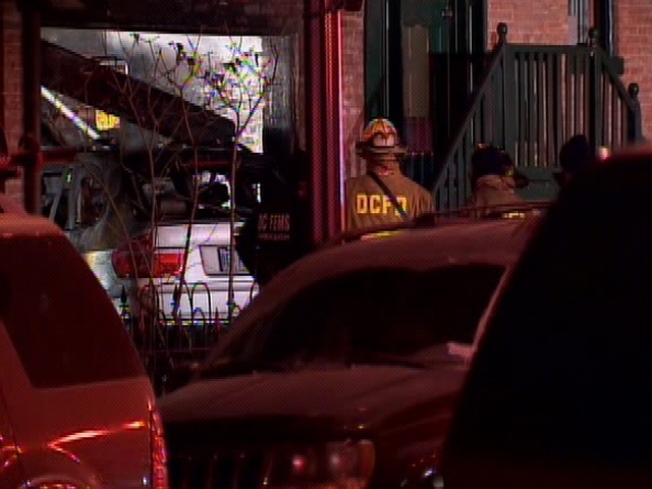 The BMW SUV was stopped at an angle partially inside the garage of the rowhouse. Investigators said they believe some sort of crash caused the fire. "The leading theory is that it was a crash, then a subsequent fire," said Pete Piringer of D.C. Fire and EMS. Turton worked for DeLauro as her press secretary and then as her chief of staff. After working for DeLauro, Turton went on to be a lobbyist for Progress Energy, according to Politico. "Ashley was like family to me," DeLauro told the Connecticut Post. "I went to her wedding and know her husband. I attended the baptism of her three children." Neighbors told Roll Call the fire started at 5 a.m. Homicide detectives were called to the scene and fire investigators are trying to determine the cause of the fire. Turton’s husband is Dan Turton. He works for the Obama Administration as the Deputy Director of Legislative Affairs for the United States House.